Uplink refers to a transmission of data in which data flows from a ground-based transmitter to an orbital satellite receiver. Uplink is used to send data to a satellite in Earth’s orbit in order to make changes to the way the satellite functions or simply redirect data to another ground-based receiver. Uplink is used in every application that involves the use of an orbital satellite and is a necessary component of all satellite-based telecommunications systems. Like downlink, uplink depends on the use of C Band, Ku Band, and Ka Band radio frequencies, although the frequency ranges differ in downlink and uplink applications. Like downlink, uplink relies on a radio transmitter, much like that of a cell phone tower, to broadcast information to satellite receivers in Earth’s orbit. The transmitter creates powerful bursts of energy in the form of radio waves that can travel through the Earth’s atmosphere and into space. For uplink purposes, the transmitter most often uses C Band, Ka Band, and Ku Band radio frequencies, depending on the situation. C Band radio frequencies, between 5.925-6.425 GHz, are used to transmit data through rain, snow, and other adverse weather conditions that can interfere with other radio frequencies, but require a large transmitter. Ka (Kurtz-above) Band radio frequencies, between 27.5GHz and 31Ghz, are used to transmit data to small receivers and do not require large transmitters like C Band frequencies, but do require large amounts of power. 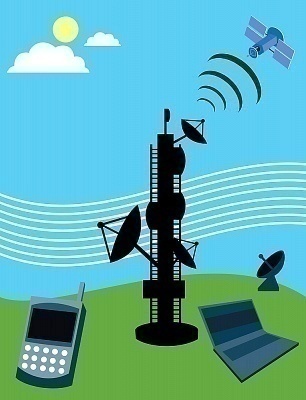 Likewise, Ku Band radio frequencies, between 14 to 14.5 GHz, are also used to transmit data to small receivers and tend to use large amounts of power, but are specifically used for broadcasting satellite television and Internet. 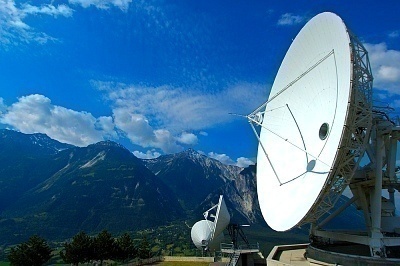 Because uplink is used in all satellite-based applications, its use is seen in many different fields, including telecommunications, deep space telemetry, GPS, and radio. Likewise, uplink can be used to change satellite command processes and change physical properties of the satellite, such as direction and zoom level. 270 queries in 0.401 seconds.